George Peter John Criscuola was born on the 20th December 1945, in Brooklyn, New York City, USA of Italian American descent. He is a musician well known under the name of Peter Criss who was one of the founders, and drummer and vocalist of the legendary music group Kiss. In the hard rock band, Criss was also known as The Catman. As a member of Kiss he was inducted into the Rock and Roll Hall of Fame in 1994. Peter Criss has also added to his net worth as a solo artist and actor. He has been active in the entertainment industry since 1964. How much is Peter Criss net worth? It has been estimated that the overall size of his net worth is as much as $2 million, accumulated during his lengthy career in the music industry. Peter grew up together with his four siblings in the Williamsburg district of Brooklyn, New York. He shared his passion of playing the drums with a friend, Jerry Nolan, who became the successful drummer of the New York Dolls band. Criss played in a number of bands including Chelsea and Lips in 1960s. In the early 1970s he became a founding member of the band Kiss; Paul Stanley took the position of vocalist and rhythm guitarist, Ace Frehley – leading guitarist, Gene Simmons – vocalist, bass guitarist and Peter Criss – drummer, percussionist and vocalist. Their debut album “Kiss” (1974) was successful with gold certifications received in USA and Canada. It should be noted that Criss served as a lead vocalist on various hits, including “Black Diamond” (1974), “Hard Luck Woman” (1976) and “Beth” (1976) which was certified gold. During the decade of the 1970s, the band released many studio albums including the gold ones “Hotter Than Hell” (1974), “Dressed to Kill” (1975), “Alive!” (1975) and “Double Platinum” (1978); platinum ones “Rock and Roll Over” (1976) and “Love Gun” (1977); and two multi-platinum studio albums “Destroyer” (1976) and “Alive” (1977). Unfortunately, Peter suffered a serious injury from a car crash in 1978, and could not participate in the active life of the band, and as the result was voted out. Officially, he left the hard rock band in 1980 and immediately pursued a solo career. 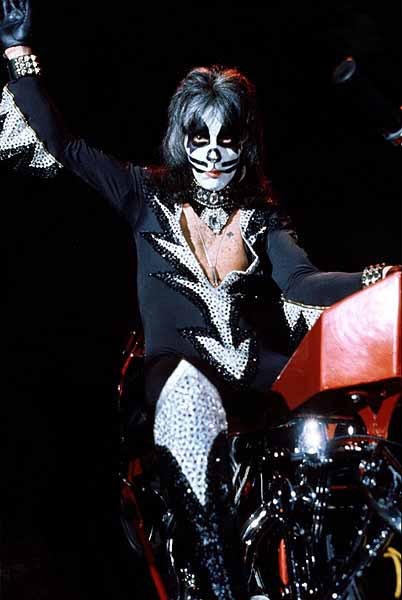 His debut solo album entitled “Peter Criss” (1978) entered the album charts in Canada and USA, as well as receiving respectively gold and platinum certifications for sales. Later, he successfully continued his solo career with other studio albums, “Out of Control” (1980), “Let Me Rock You” (1982), “Cat #1” (1994) and “One for All” (2007). These recordings added significantly to Peter’s net worth. It should be mentioned that Peter Criss returned to the Kiss band in 1995 and left again in 2001, and then rejoined the band for the third time in 2002 though he left in 2004. Because of many disagreements and frustration he could not be a permanent part of the band, nevertheless Kiss added much financially to the net worth of Peter Criss. Additionally, as an actor Criss appeared in the television series “Millennium” (1998) and “Oz” (2002). He landed a role in the feature films “Detroit Rock City” (1999) directed by Adam Rifkin and “Frame of Mind” (2009) directed by Chris Noth. Criss and Larry Sloman wrote the autobiography of the artist entitled “Make-up to Break-up: My Life In and Out of Kiss” (2012). All the above mentioned engagements also increased the net worth of Peter Criss. In his personal life, Peter Criss has been married three times, to Lydia Di Leonardo (1970 – 1979), Debra Jensen (1979 – 1994) with whom he has a daughter, and Gigi Criss (1998 – present).